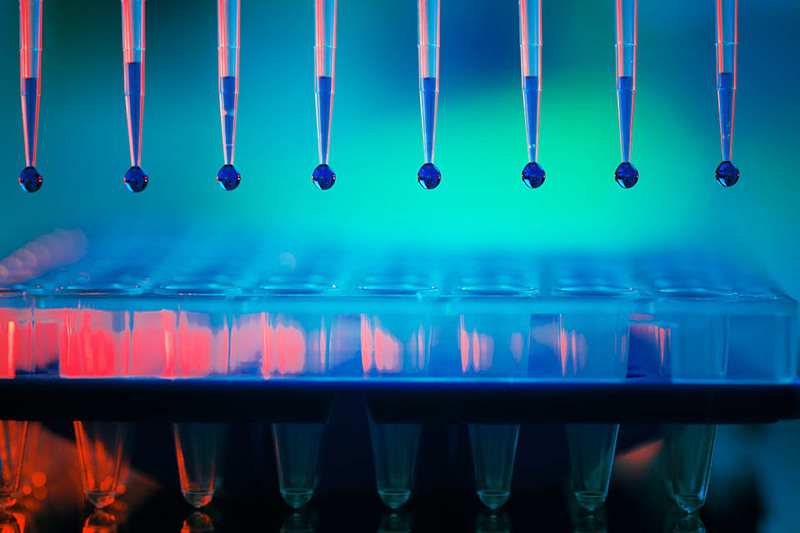 Molecular assays designed for the simultaneous detection of bacterial, viral, and parasitic agents, as well as virulence determinants can significantly enhance the management and treatment of a variety of infectious processes. Through high levels of sensitivity and specificity our tests are able to provide an accurate diagnosis of causative agents. The timely and accurate identification of an infectious organisms helps to target an appropriate therapeutic course. In addition, the identification of antimicrobial resistance factors within a specimen helps to promote the optimal selection and administration of an antimicrobial drug regimen. This coordinated and selectively targeted antimicrobial approach helps to achieve optimal clinical outcomes, while simultaneously promoting antibiotic stewardship and diminishing the risk of antimicrobial resistance. Concomitant to the role of antibiotic stewardship is knowing when not to use these powerful agents. Presently, antibiotics are the most commonly prescribed medications for children. However, several studies have recently shown strong associations between early childhood antibiotic use and diseases that develop later in life, such as obesity, asthma, diabetes and autoimmunity. As such, antibiotics should only be used when absolutely necessary. Discretion is especially warranted during the first two years of life while the immune system and gut microbiome are still maturing. Unfortunately, it is estimated that up to 50% of the antibiotics administered to pediatric patients are done so needlessly and inappropriately. Given the potential for long term sequelae it is essential that the clinician differentiate between bacterial and viral infections, thus reducing unnecessary exposure to antibiotics. Overall, molecular-based diagnostic tools positively impact the patient’s outcome through appropriately targeted and more effective treatment. These tests are also an essential agent for targeting the appropriate use of antibiotics and the continually challenging responsibility of antibiotic stewardship. Finally, our tests help to ease the ever-growing healthcare burden by eliminating unnecessary treatments and speeding healing. Through high levels of sensitivity and specificity our tests are able to provide an accurate diagnosis of causative agents. This timely and accurate identification of infectious organisms helps to target an appropriate therapeutic course. In addition, the identification of antimicrobial resistance factors within a specimen helps to promote the optimal selection and administration of an antimicrobial drug regimen. This coordinated and selectively targeted antimicrobial approach helps to achieve optimal clinical outcomes, while simultaneously promoting antibiotic stewardship and diminishing the risk of increased antimicrobial resistance. Concomitant to the role of antibiotic stewardship is knowing when not to use these powerful agents. Presently, antibiotics are the most commonly prescribed medications for children. However, several studies have recently shown strong associations between early childhood antibiotic use and diseases that develop later in life, such as obesity, asthma, diabetes and autoimmunity. As such, antibiotics should only be used when absolutely necessary. Discretion is especially warranted during the first two years of life while the immune system and gut microbiome are still maturing. Unfortunately, it is estimated that up to 50% of the antibiotics administered to pediatric patients are done so needlessly and inappropriately. Given the potential for long term sequelae it is essential to differentiate between bacterial and viral infections, thus reducing unnecessary exposure to antibiotics. Overall, molecular-based diagnostic tools positively impact the patient’s outcome through appropriately targeted and more effective treatment. These tests are also an essential agent for identifying the appropriate use of antibiotics and the continually challenging responsibility of antibiotic stewardship. Our tests help to ease the ever-growing healthcare burden by eliminating unnecessary treatments and speeding healing. Incomplete testing via conventional technology i.e. routine culture, detects fewer pathogens and often fails to result in diagnosis. This places a patient at risk for increased length of stay, increased time in isolation, time off work, secondary transmission to family and community and procedures which carry inherent risks such as complications including infection, perforation, etc.